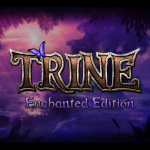 Finnish studio Frozenbyte has revealed that the original Trine will be launching on the Wii U eShop later this year under the title Trine Enchanted Edition. 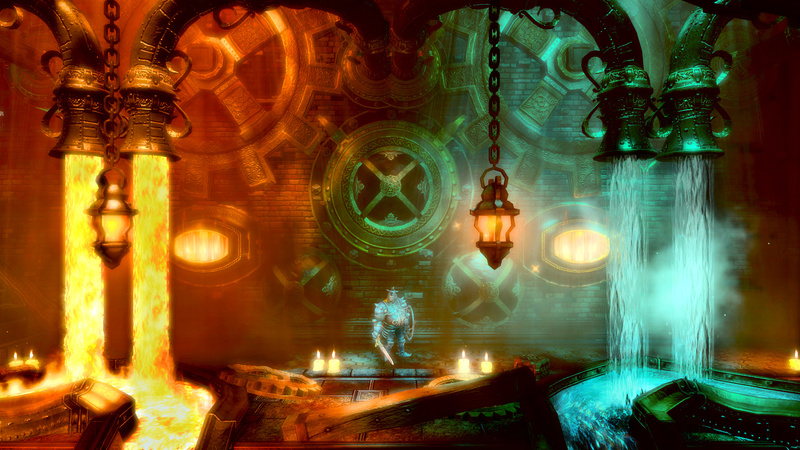 An updated version of the first title which uses the Trine 2 game engine, Enchanted Edition will boast improved visual effects and mid-level saving. You'll also be able to play online with friends. The game is set for a July 24th release on Windows, followed by Mac and Linux releases. The Wii U eShop edition will launch alongside a PlayStation 4 offering later in 2014. If you've yet to play Trine 2, don't forget that it's currently on sale for $7.99 (normal price: $19.99) until 12th August. I may consider both games now that they are releasing the first one. I loved Trine 2. Never got to play the first. Hoping they make the physics less floaty in this updated port of the first title tho I never picked the second title back up after I beat it when that patch was released so maybe they already did. Someone will correct me if I'm wrong !!! Cool beans. Didn't think I'd ever get to play the original. FANTASTIC!!! I never played it! Now i'll have more reason to play the Trine 2. This will be an instabuy. And it will be on sale just like its sequel a million times. I own the first Trine on Steam, but my PC is not good enough to play it well. If the price is right, I may be tempted to buy it again to finish it. Cool, Trine 2 was great, never got the chance to play the first one. Can't wait to play this with my friend. I hope it's not gonna be $20 tho. Trine was pretty good on PS3 but 2 was much better. Besides enhanced visuals I believe they offered a few other things which improved the 2nd game. Not sure I'ld pick it up again since we already played it but it's nice to see them do this for those who didn't gt the chance. I wonder if it will get a cheap price like S&S did? This is the typical case of "demo scared me off". So I think I will pass. Nice!!! I played through this on PC and would love to play it again. Trine 2 is one of my favourite co-op games. This is all very well and good, a remastering etc. But for an independent company like Frozenbyte, shouldn't they be moving on and making new games? I hope that this stunt works them though! It just seem a bit of an odd move to remaster a 5 year old game, still fresh in the memory of the community, instead of focusing and investing resources on new ideas, and development! Cool will get to have both on the same system. also @ThomasBW84 or @Damo at Hyper Japan there will be a 3DS tournament with the finalists playing the Wii U version, just thought I'd let you guys know. Information is near the end. @Kifa yes, but for those of us who dont play on pc and only have a Wii U love to hear this news! Good news, I'll pick this up at some point if the price is right. I still havnt gone back to no 2 since I suffered from platfomer overload a year ago and left it about half complete. It deserves to be finished.....Great visuals, interesting story and inventive co op gameplay. Not sure about this one. I bought Trine 2 well over a year ago and find it INFURIATING. Every puzzle that had a lever in it made me want to break something and I won't even mention the jumping.But... it is clever and beautiful most of the time. Every puzzle that had a lever in it made me want to break something. I couldn't really get into Trine 2, sady. The game looks amazing, but I hate the right-analogue wizard controls, and the overal pacing just felt off. It's unlikely that I'll be getting this one. @Sir_Deadly Hey, I never said that this is bad that they release it on Wii U. I might even download it myself if the price is right (prefer to have games in the comfort of mu couch, so to speak ;] ). I was saying that this wasn't necessarily a time-consuming effort on behalf of Frozenbyte to refresh the game. 2 is fantastic, will surely consider the first. I hate playing 30fps games on HDTV's, that frame doubling effect is NASTy. Awesome! I'm not even close to finishing Trine 2 so maybe I won't finish it until I beat this. Expensive? Spending 2-3k on a PC and paying the same for 300-450$ consoles would be a waste. Expensive? When PC piracy is 10-15x worse than console piracy. Expensive? When consoles use seperate dev kits that cost thousands. Was it hard to play? I never found the original challenging until the final area. But man, did touching the screen that much WRECK my Gamepad's screen. Scratch, scratch, scratch. GOUGE. Scratch, scratch, scratch. GOUGE. And to @Mercy_Lost, they're doing this not because of their indie status. But because of how much the new engine cost. Apparently, they've only just started making profit these last 6 months. They have the engine, why not exploit it? And realistically, it's not like it would take the full team to do so. The artists, directors and sound guys wouldn't be involved. Will they let us change around the buttons this time. I hate the layout they chose for the shoulder buttons on Trine 2. Nice! Day one purchase for me. I've been wanting to play the first Trine, here's my chance. Love the second, now I can't wait to play the first one since I hadn't try that one for Wii U yet. I may very well get it, definitely if it supports all of the control schemes of Trine 2 on Wii U.
Trine 2 is one of my favorite games of all time. Trine is not that good, so I would advise to play Trine 2 first and play Trine later, if you liked Trine 2. The story can be understood without playing the first game. Anyways, I'm happy to see the Enchanted Edition coming to the Wii U. I will definitely buy it, even though I already have it on the PC (the beta). I loved Trine 2! I have to get this one! I have Trine 2, but I have yet to properly play it. But its good that the Wii u also gets the original.